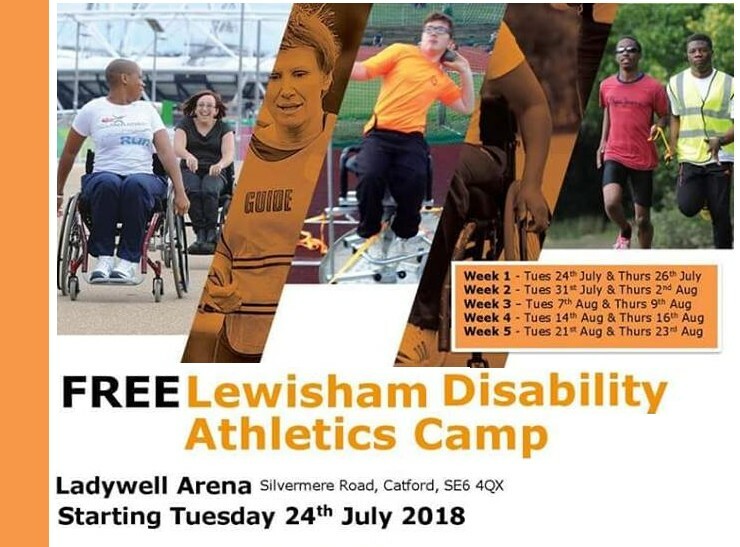 Lewisham Disability Athletics Club- FREE Summer Holiday Camp w/ qualified coaches. Coaches – Adam, Rhona + others from S-Factor Academy & Access Sport. 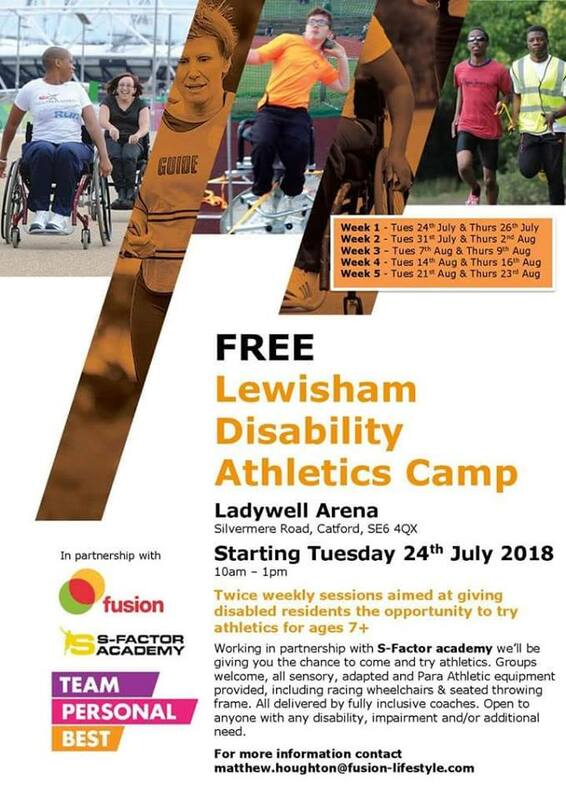 Inclusive to – Anyone with any disability, impairment and/or additional need. All equipment is provided for sensory and impairment specific including audible equipment, racerunner and racing wheelchairs.